MTSU, Blackman academy mark an..
Middle Tennessee State University ranks in the top 20 nationally in the affordability of its online master’s degree in library science, according to College Choice. 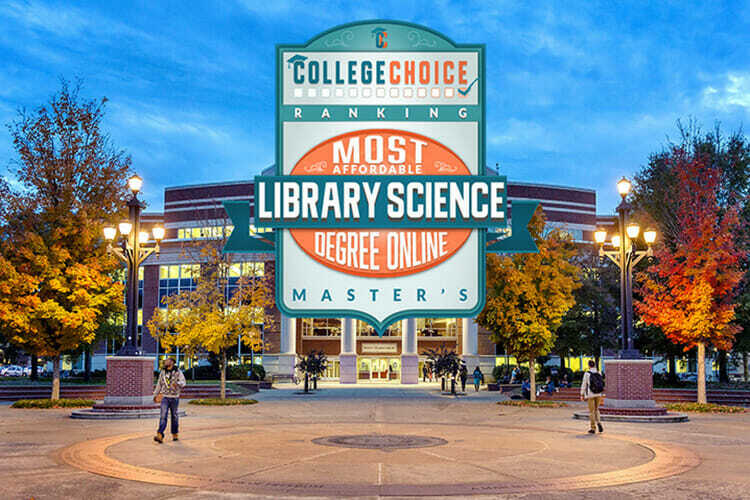 A leading authority in data-driven college and university rankings and resources, College Choice put MTSU’s Master of Library Science program at No. 12. The College of Education’s MLS program is the only online program in Tennessee that made the top 20. “If we can maintain this position while we pursue and earn American Library Association accreditation, then we will offer absolutely one of the best values for an online graduate education in the country, let alone the state,” said Dr. Frank Lambert, assistant professor and coordinator of MTSU’s MLS program. Dr. Jim Huffman, chair of the Womack Educational Leadership Department, said MTSU’s program offers our state’s practicing education professionals another option for their careers. “The flexibility the program offers by being 100 percent online, along with its affordability, allows educators from across the state the ability to pursue a different, but still strongly related, career path whenever they are ready to do so with minimal disruption to their professional and personal lives,” he said. Lambert is looking to expand course offerings with increased emphasis in public and academic librarianship as part of a goal of earning ALA accreditation while being accredited still by the National Council for Accreditation of Teacher Education and the Council for the Accreditation of Educator Preparation. Here is the full ranking of the Most Affordable Online Master’s in Library Science Degrees. For more information about MTSU’s Master of Library Science program, visit www.mtsu.edu/programs/library-science-mls.